Two Towers, Double the Fun! (Fight For Air Phoenix Race Recap) | Keep It Up, David! This past weekend was an excellent one. I visited Phoenix for the first time, where I saw a couple long-time friends (both, coincidentally enough, named Emily), and competed in my 18th stair race. This race provided an entirely new experience for me. 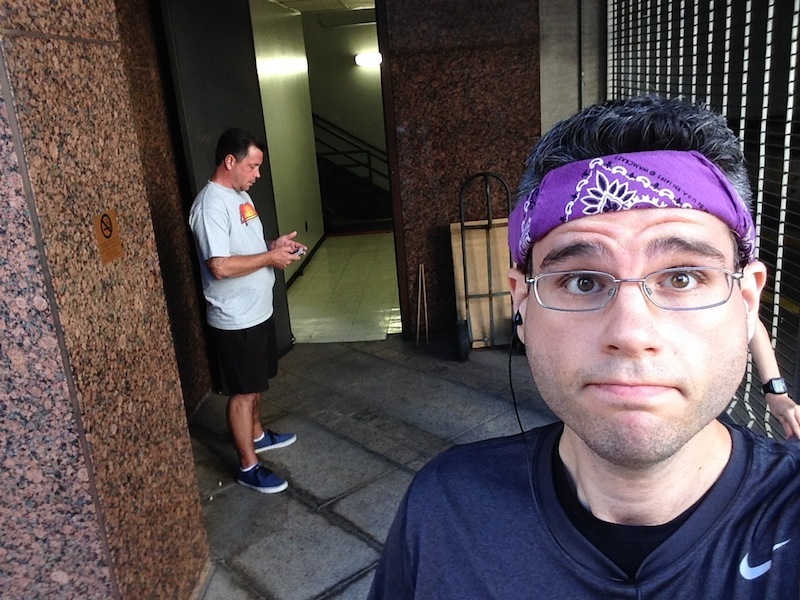 Most races are held in the stairwell of one skyscraper… but this race was in TWO. The race was the American Lung Association’s Fight For Air Climb, and it consisted of one climb up each tower (elevators down). You could also sign up for the Extreme Climb, which was two climbs up each tower. That’s 106 total stories. I signed up for the Extreme Climb because why not? I didn’t want to drive six hours home from Phoenix and slowly stew with anger and regret because I left unclimbed stairs on the table. Go big or go home, right? RIGHT? 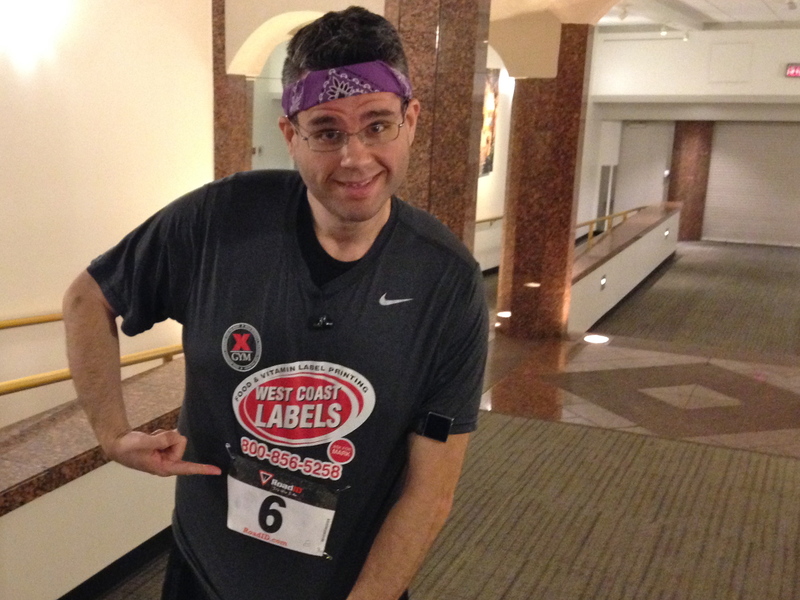 This is probably the smallest race I attended, and since the Extreme racers went first, I was given an awesome bib: #6! My lowest bib number yet. The race started in the basement of Tower 1, and I had plenty of time to stretch and get mentally prepared. I haven’t done many multi-climb races before, and I was torn on how to approach it. Do I pace myself, because, as a whole, it’s a long race? Or do I treat it like four sprints, because I’ll have breaks in between each climb? I was one of the first people to start in Tower 1, and I immediately liked the stairwell. It was narrow, so I could easily use both handrails, and I found myself moving at a good, speedy clip. It was a clear stairwell, since not many people were in it yet. I passed one woman, and I got passed once. RELATED CONTENT: Check Out Photos From Detroit in My Previous Race Recap! 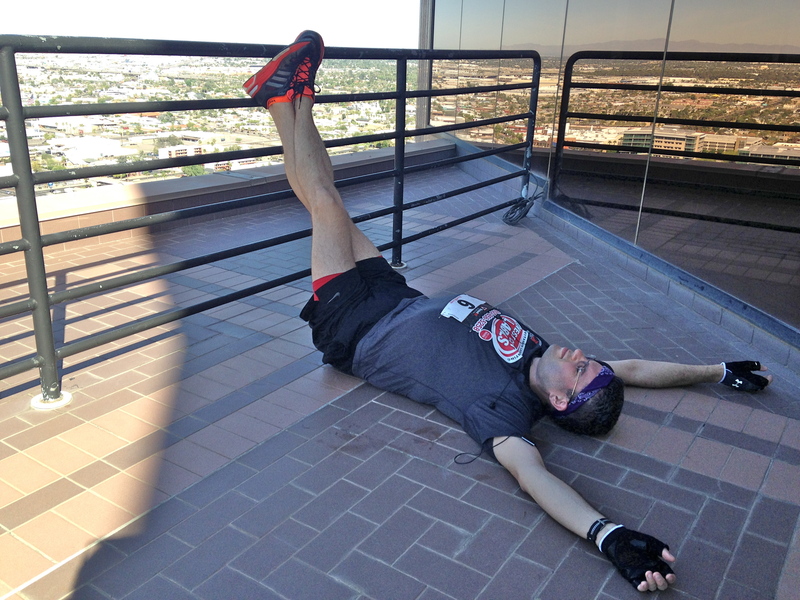 26 stories is a great height for a sprint: I only had a few floors left when I got to the point of utter exhaustion. I actually almost missed the exit door, which, while open, was completely unmarked. The stairs continued higher (probably to a locked roof access door) and I was prepping to turn the corner on the landing when, at the last second, I noticed the timing mat in the hall. I prevented myself from turning the corner, stumbled across the mat and chugged a bottle of water. When I got back down to the lobby, I realized I had no idea where the Tower 2 stairwell was. I went to the Tower 2 lobby, but there were no signs or arrows pointing the way. I asked two volunteers, both of whom didn’t know, before a third volunteer led me outside, around back, to the Tower 2 start line, which was on the sidewalk. The second stairwell was, not surprisingly, a lot like the first. All left hand turns, bright and narrow, and not many racers. It seemed much more than just two stories higher than the last stairwell, but I made good time and tried to stay consistent. I even experimented with some triple-stepping, because I found I could. 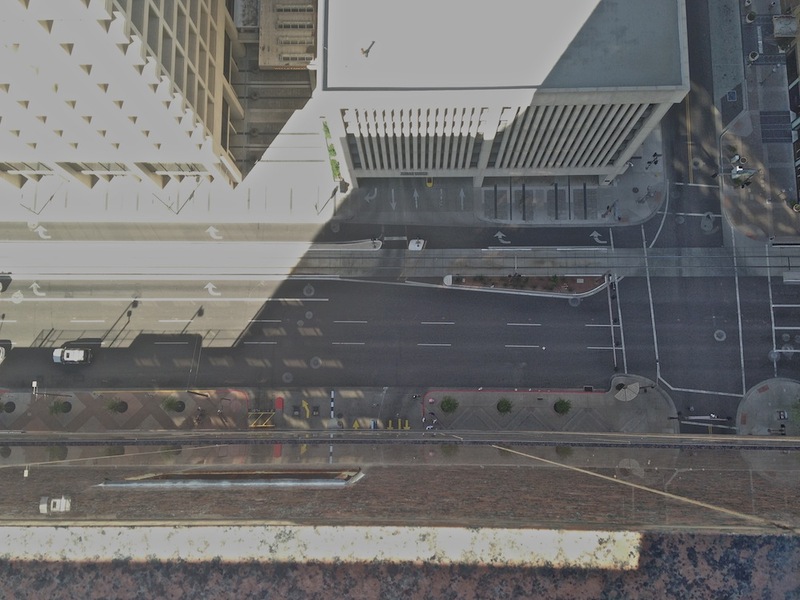 I exited into the hall on the 28th floor, and the hall led to an outdoor, rooftop patio. I wanted to stop and enjoy the view, but I couldn’t. I had two more climbs to complete. 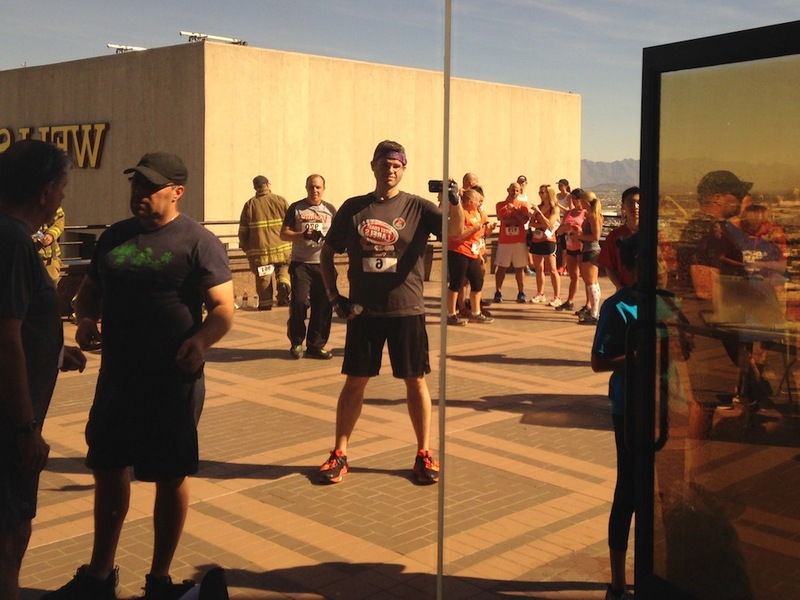 I kept my eyes pointed downward – so the view would be a reward when I completed the race – and jogged back inside through another door, to the elevators. 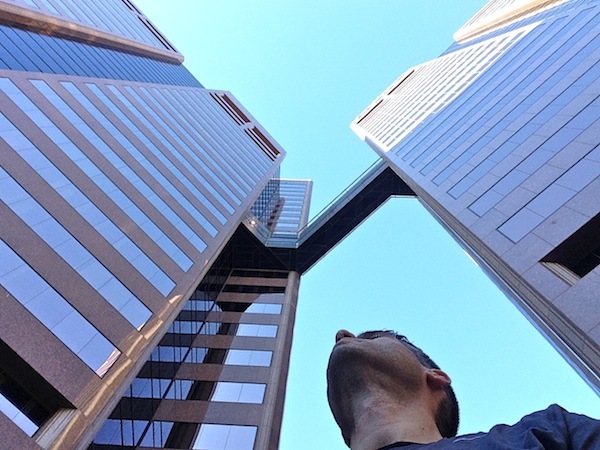 RELATED CONTENT: Read About Climbing 320 stories in 2 days in Seattle and Portland! When I got back to the basement of Tower 1, there was a line of racers who hadn’t even started climbing yet. Extreme racers got to jump the line, and before I knew it, I was back in the Tower 1 stairwell for my second climb. It was then that I really began noticing how hot and dry it was. 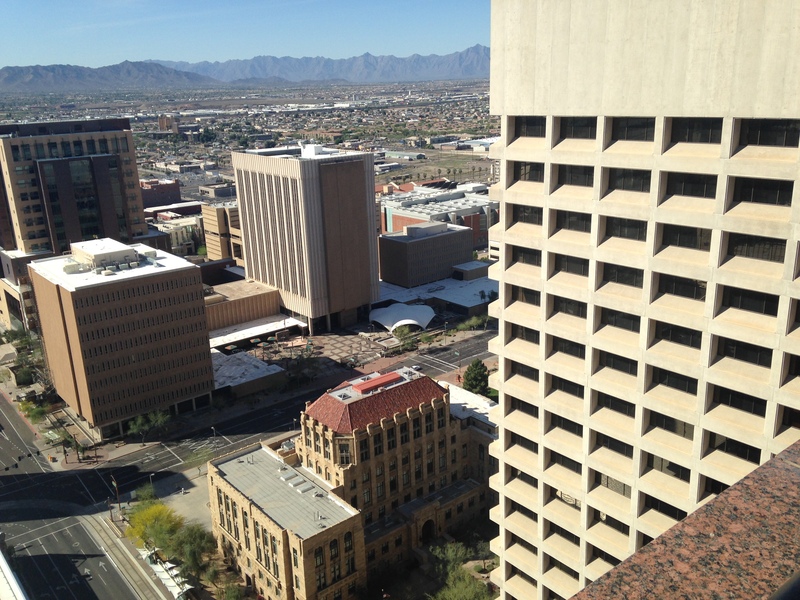 I know, I know – Phoenix is hot and dry? Who would’ve guessed? I typically chew gum during a race. Well, I actually just shove it in the back corners of my mouth, where my top wisdom teeth used to be, so I salivate. Keeping my mouth moist helps prevent track hack, which is a nasty cough that happens after strenuous activity (my friend PJ explains it thoroughly here). Phoenix is so dry that even the gum didn’t help much. Between the irritation in my throat, my pounding heart, and the aching muscles throughout my lower body, it felt like my body was throwing up all sorts of surrender signs. But I pushed through, and my iPod was a big help. A song called “It’s Not Over Yet” by for KING & COUNTRY came on (listen to it here, and yes, that’s how they capitalize it). It has a good, driving beat, and the lyrics rang true at that moment. I felt a renewed energy, so I tried to kick up my pace. The physical component to the energy boost didn’t last long, because I was already too tired, but the mental one held up, and I exited the stairwell ready to tackle one more climb and finish strong. RELATED CONTENT: Check out my Twitter and Instagram Feeds for more photos from Phoenix! The fourth climb was excruciating. Everything hurt. I employed my tried-and-true strategy of working towards milestone floors (14 = halfway, 21 = 3/4 done) and tried to rally the final handful of floors. My heart was beating around 170 per minute when I spilled onto the rooftop patio. First priority was lying down. I found a shady corner and put my feet up, which felt really good. Once my heart fell back to a more normal level, I took in the view. I love when races end on the roof. These views are what got me hooked on the sport to begin with. We got to hang out up there pretty much as long as we wanted, so I took advantage, catching up with Leland and another friend Steve, who came in from Colorado. (Steve and Leland came in 1st and 2nd, respectively, in the regular climb.) I also met Julie-Rae, a local who won the Extreme Climb, beating the top-finishing male by nearly two minutes. And how did I do? Funny you should ask, because I was about to tell you! For most of the day, I thought I had finished in 6th place among men in the Extreme Climb, which would have been incredible, since that was my bib number. But the results ended up getting amended, and I fell to 7th. I was 10th overall. I climbed 106 stories in 24 minutes, 16 seconds. That’s a great time! I slowed considerably during my final two climbs (my second time up Tower 1 was about 84 seconds slower than my first time), but that’s okay. I was sprinting, and I can only keep up my fastest pace for so long. This race has definitely whetted my appetite for multi-building climbs. 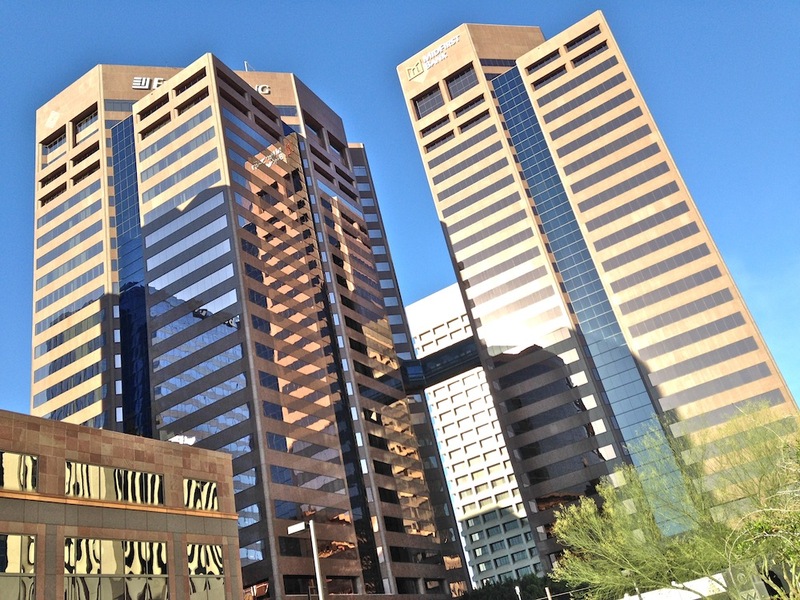 I’ve already signed up for another multi-building climb in June (more details to come). In addition, I know of multi-building climbs in Des Moines and Oklahoma City, but the most challenging one is Presidential Towers in Chicago, which involves climbing four 53-stories towers. That’s definitely something to work towards! Maybe one year I’ll add that to my race schedule! In the meantime, there’s no rest in my future. In a week and a half, I’ll be competing in San Francisco, and two weeks after that, right here in Los Angeles, in the building that I climbed during my very first race three years ago. PS: I gotta thank my awesome donors, who stepped up and contributed more than double what I needed to raise for this race. I thank you, and the American Lung Association thanks you too! Big hugs to Sandie, Felise, Suzanne, Callie (and her parents), and Janet. This entry was posted on Tuesday, March 17th, 2015 at 4:09 pm and is filed under Uncategorized. You can follow any responses to this entry through the RSS 2.0 feed. You can leave a response, or trackback from your own site. WHOO HOO!!! Way to go David! You are awesome. Thanks! And thank YOU for the donation! Go BIG!!! 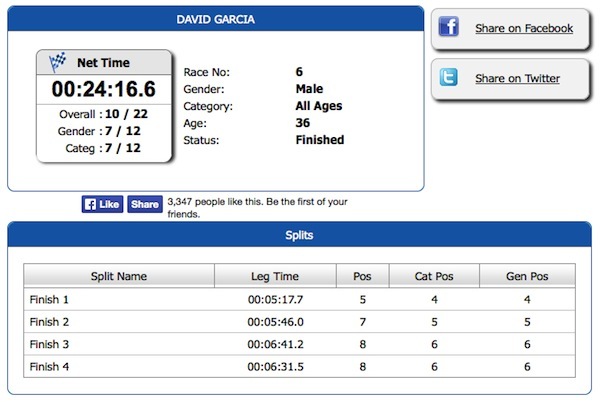 Great job, David! Thanks for the excellent report! Great job, David! 18 events – so you’re a stair racing “Adult” now. Just found you on this site. I climbed with you in this. I believe my time was 23:20. This was the first one I’ve done and definitely have the bug myself. My story is similar to yours. I weighed 290 and am now down to 200. I got fit by doing the stair climber at the gym almost daily. Good job David. I will continue to follow your blog. Proud of you! Thank you, Tim, for leaving such a great note. Congrats on the weight loss – and KEEP IT UP! 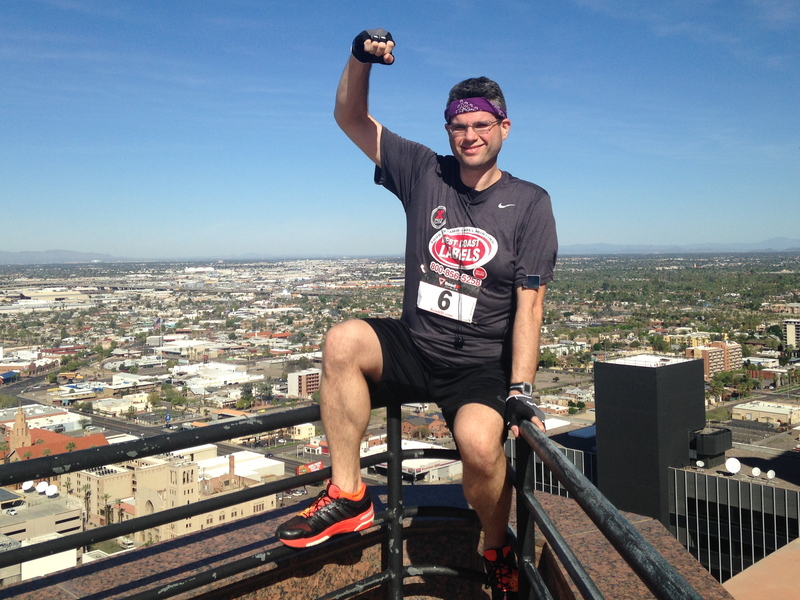 I heard the Phoenix race was cancelled this year, which is a bummer – I had a great time. Are there any other Phoenix races throughout the year? So far I haven’t found anything for this year. Hopefully something comes up. There is a climb in Boise which I considered because my brother and sister in law live there. Unfortunately, it is only 38 floors. Not really worth the trip. Looks like there is a pretty tough one in Seattle. Might be a little over my head if I do the whole thing. If you happen to see anything in Az. send me a message. I’m headed to Seattle and Portland in a couple weeks for races, plus 5 more after that: I haven’t heard of other AZ races, but will let you know if I do!
. I felt pretty good doing my first one of 106 floors in 23 minutes @ 50 years old. Considering I had been diagnosed with COPD just a year earlier…… Pretty sure that was a misdiagnoses. Truly incredible performance, Tim, KEEP IT UP!